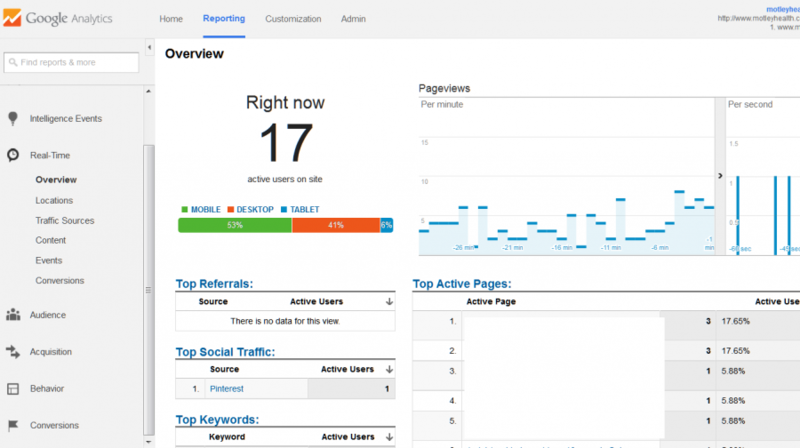 Google Analytics allows webmasters to view real-time usage information. This is particular useful for monitoring when different pages are most popular and how people access your website (e.g. mobile, tablet or desktop). Monitoring Geographic use can give insights into who is looking at your website. It is also an excellent way to gauge engagement immediately following a marketing activity, such as posting to a social media website such as Facebook or Twitter, or after sending an email.